Same GREAT Formula with a NEW look! 100XX Bronzer with White Tea Extract, Soy and CoQ10. Ultra Extreme Sizzle Formula with Exotic Bronzer Blend. 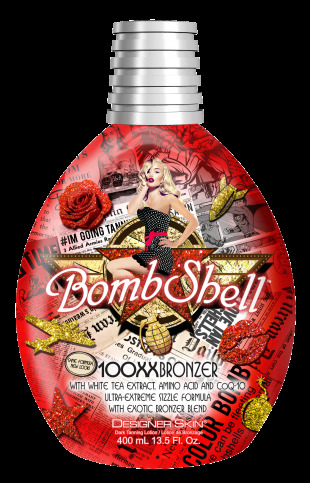 Experience the red hot power of this ultra extreme sizzle formula that yields unsurpassed tanning results. Bask in the sensuous pleasure of this radiant bronzer blend while its exhilarating fragrance envelops you. Enriched with White Tea Extract, Soy and CoQ10 to pamper your skin and provide the ultimate tan.